OMG even MORE Undead Legion items?!? What happens when thousands of Undead Legion followers flood the Soul Forge with millions of Solidified Souls, Obsidian Rocks, and Legion Tokens? An explosion of brand-new Undead Legion items! Dage never expected ANYTHING like this. His Soul Forge has generated so much power… so much darkness… so much EVIL… and now the Dark Lord surges with overwhelming strength to create even more Undead Legion items! 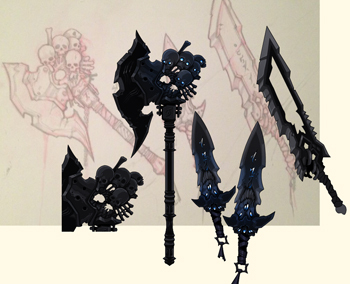 Don’t forget that the Dage Fan Art Contest ends tomorrow night, March 8 at 11:59pm EST on the Forums! WOWZA! There are over 600 entries so far—and the numbers keep growing! 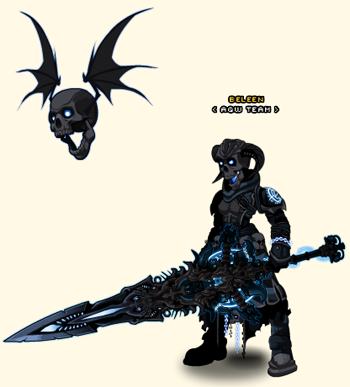 Dage the Evil is incredibly impressed by your hard work and devotion to the Undead Legion. The Grand Prize winner will receive a custom-made Weapon by Dage, and runners-ups get a specially crafted Cape. 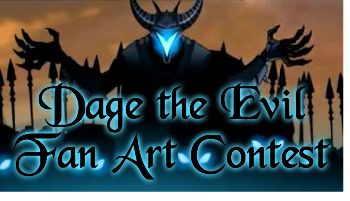 Read the Dage the Evil Fan Art Contest rules, and then submit your entry here! Long live the Undead Legion! OMG it’s Dage the Evil’s birthday! It’s the moment EVERYONE has been waiting for! 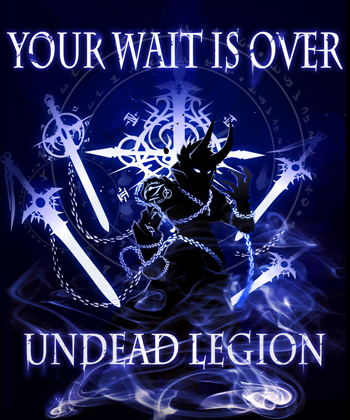 But with so many awesomely epic Dage-approved items, I wanted to give you the lowdown on all new Undead Legion loot arriving in tonight’s birthday release. These items are RARE and will not be retuning next year, so stock up before Dage takes them all away—forever! And yeah, you’ll definitely need AdventureCoins. They don’t call him Dage the EVIL for nothin’! The Soul Forge is a permanent addition to Dage’s Underworld. 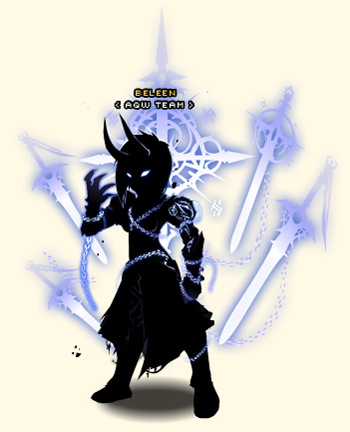 You must complete Dage’s new quests in order to get the required items to use within the Soul Forge. Some of these items are going Rare while others can be obtained permanently...well, if you're lucky! If knowledge is power… then apply what you’ve learned to your Undead Legion items and rule the world of Lore! Teheheh… erm, I mean, BWAHAHHA! Sneak Peek at more Undead Legion goodies! I snuck into the Secret Underground Lab early this morning to snag these spoiler screenshots just for you! Dage’s birthday release launches tonight! You should probably stock up on some AdventureCoins if you hope to obtain legendary Legion loot—and MUCH more to come! Tonight in AdventureQuest Worlds, the DoomWood Saga begins! 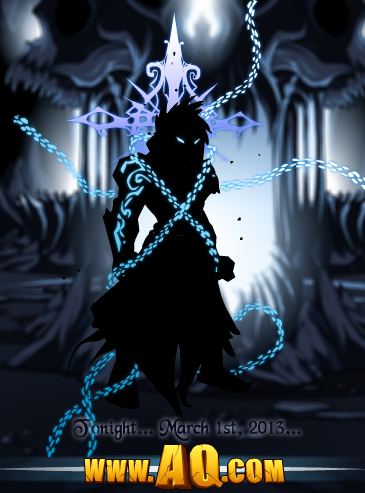 This brand new saga takes place 5 years after the events that took place in DragonFable. (You can play the entire story in www.DragonFable.com now.) If you have not already seen the video below... it was created as a trailer for the original DoomWood story. In the in-game version you are fighting along side Artix during this part. It is ultimately revealed that the purple robed Necromantress is actually Vayle -- a childhood friend of Artix, who had became fused with the Darkness Orb. The glowing Spirit Shard in her hand contained the soul of her brother... who she believed could be brought back to life if she followed the orders of her master, the Evil Necromancer, Noxus. Ultimately she abandoned the undead lords of the necropolis and went on her own path... to try to find a way to use Necromancy for good. However, due to what happened to her Spirit Orb in this video, she swore vengence.